... instead, I chose to get some exercise by walking laps around the building. I passed many women dressed in sari (India) and burqa (Saudi). I also spotted several men dressed in customary clothing from Africa. I watched the check in lines ebb and flow as the international airlines landed, loaded, and departed. I was fascinated as families repacked suitcases, discard items that were not worth the excess weight fees, and sit on luggage to close them. 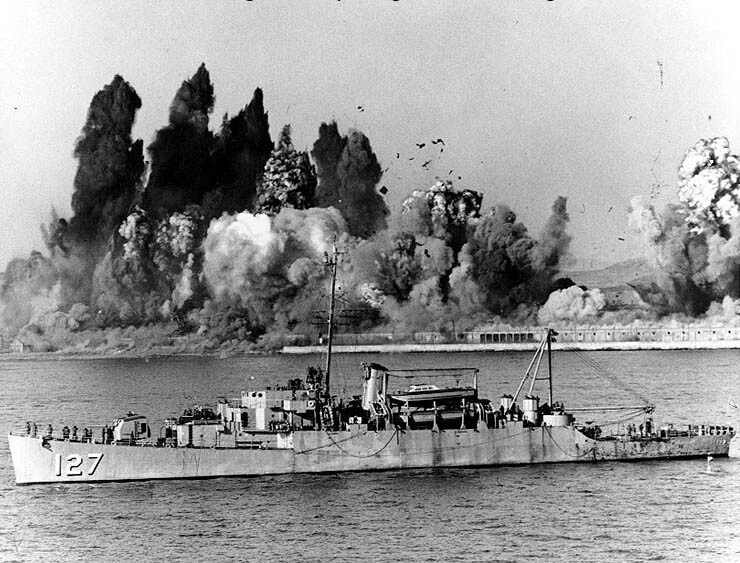 USS BEGOR was named for LtJG Fay Broughton Begor, Medical Corps, US Naval Reserve. Young doctor Begor was a Medical Officer supporting amphibious operations during the invasion of Japanese-held Lae, New Guinea, in September 1943. He was wounded by enemy fire and died five days later on a hospital ship. 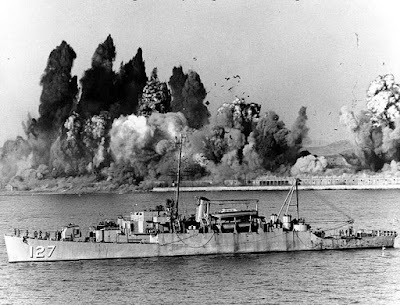 With the surrender of Japan .... Begor was one of the first allied ships to enter Tokyo Bay on 29 August and would be the first to land troops, UDT-21, ashore at Futsu Saki Point in Tokyo Bay. I approached the Navy veteran and thanked him for his service. We chatted about military life, including his Air Force son, who served in the Gulf War. He noted that his son was recently diagnosed with PTSD by the VA hospital - I responded I would pray for his son's recovery through therapy. The Navy Vet was on his way to Columbus, Ohio, to attend the PGA's Memorial Tournament with his younger son. This lead to a conversation about golf, Jack Nichlaus, and Arnold Palmer (Arnie hails from Latrobe where my inlaws grew up). I asked him if he needed any help checking in his luggage. He responded, "I generally find the prettiest agent and play the old man card". Oh, he is a Navy vet indeed. USS Independence (CV/CVA-62) was an aircraft carrier of the United States Navy. 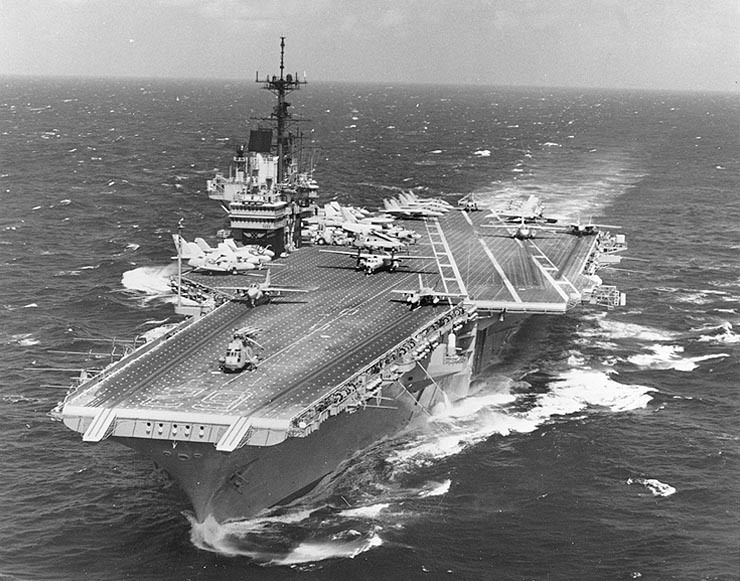 She was the fourth and final member of the Forrestal class of conventionally powered supercarriers. She entered service in 1959, with much of her early years spent in the Mediterranean Fleet. Independence made a single tour off the coast of Vietnam in 1965 during the Vietnam War, and also carried out airstrikes against Syrian forces during the Lebanese Civil War and operations over Iraq during Operation Southern Watch, the enforcement of the no-fly zone over southern Iraq. Independence was decommissioned in 1998 after 39 years of active service. During my last lap, I spotted an older gentleman wearing an Aloha shirt. I stopped to comment on his shirt, leading us into conversation. He was a Turkish immigrant who became an American citizen. He was waiting for his daughter from Turkey to visit him for the summer. We chatted about Turkish culture, demonstrating that it's a small world after all. I then received a call from my son who had deplaned his Iceland Air Flight. Once I met him in the terminal, he shared that he noticed the Turkish Airlines Airbus parked next to his aircraft. Given the size of the airplane, he knew the customs line would grow long. So he did not dawdle like other passengers, thus demonstrating that he takes after me! And the peas? 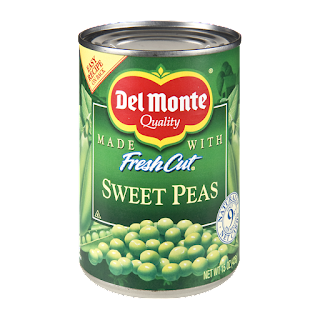 I spotted a can of peas abandoned on a seat ... apparently, it didn't make the cut for packing. Rather than throwing it away, I brought it home to donate to the food bank. 1. How do you pass time at an airport, train station, etc.? 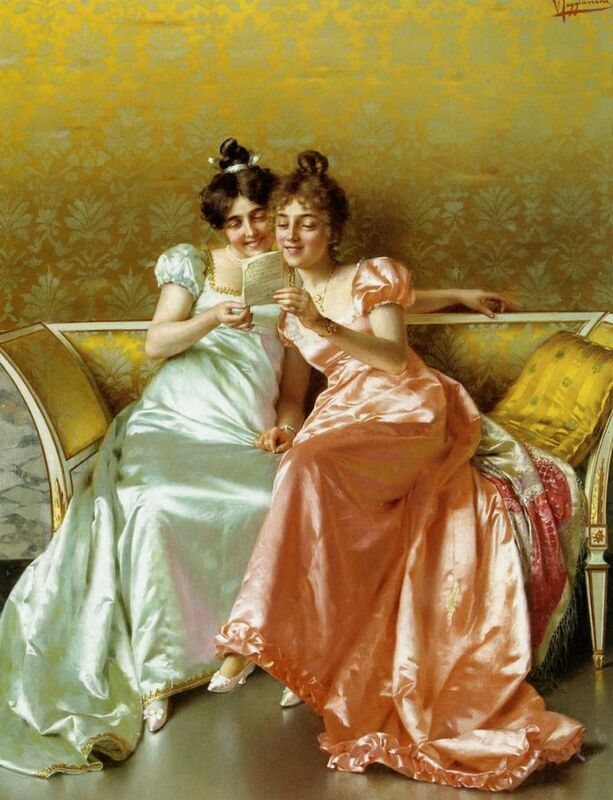 Have you chatted with fellow passengers? 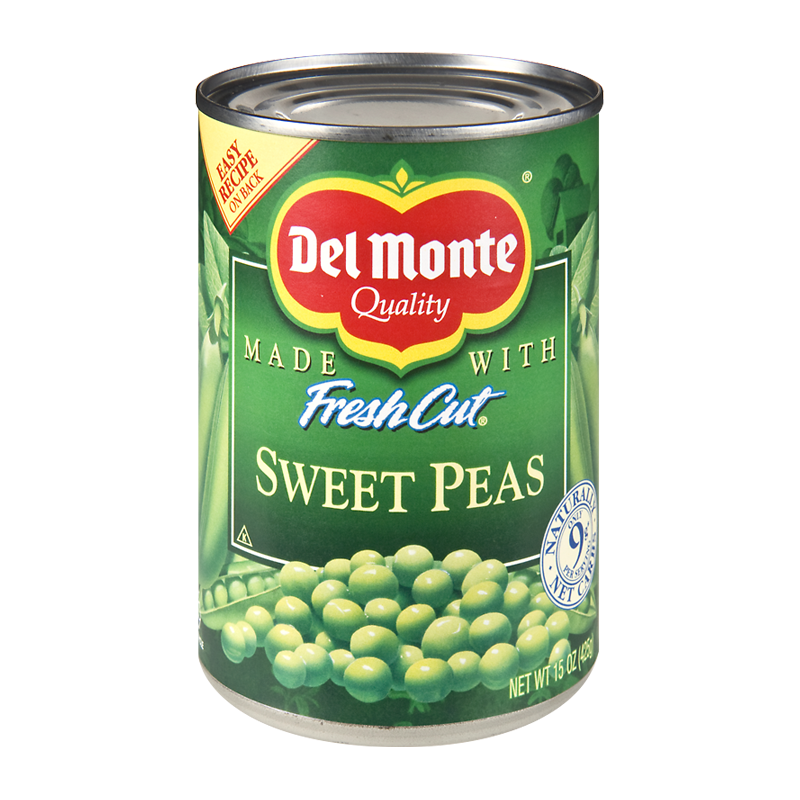 Do you like canned vegetables? 2. Comments are open through Sunday, June 4, 10 pm in Baltimore. 3. I'll post the winner on Monday, June 5. 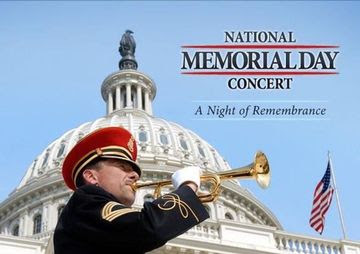 The National Memorial Day Concert features uplifting musical performances, documentary footage and dramatic readings that honor the military service of all our men and women in uniform, their families at home and those who have made the ultimate sacrifice. 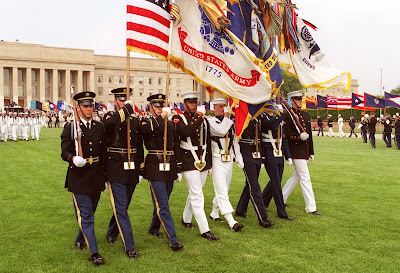 One of PBS’ highest-rated programs, the multi-award-winning television event has become an American tradition, featuring a star-studded lineup performing in tribute to all Americans who have sacrificed for our country. The 2017 concert will feature tributes to the last surviving Doolittle Raider, Colonel Richard Cole, and the 75th anniversary of that daring bombing mission over Tokyo, as well as the 70th anniversary of the United States Air Force and some of the most skilled aviators of World War II – the Tuskegee Airmen. The evening will also include spotlights on the healing journey of a Gold Star family from the Vietnam era, now supporting other grieving families from recent conflicts, and Captain Luis Avila’s story of courage, faith, perseverance and hope after being severely wounded in a roadside bomb blast. I cried throughout the broadcast. It was a heartfelt tribute to our heroes of the past ... and the present. Actor John Ortiz and actress Ana Ortiz performed a dialogue between Captain Avila (in a coma for 40 days) and his wife Claudia by his side. Their dialogue referenced the multiple therapies available at Walter Reed National Military Hospital, including music therapy. 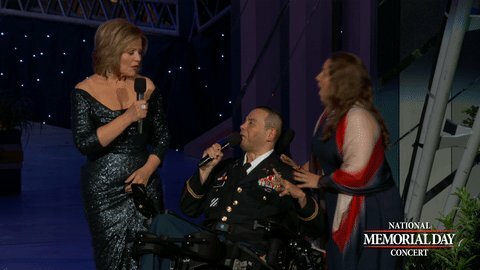 At the end of their dialogue, the camera cut to singer Renee Fleming and Captain Ortiz (in a wheel chair) as they sang GOD BLESS AMERICA. Then actress Mary McCormick shared the thoughts of a young girl, Jacke Walton, whose father, Special Forces Sergeant First Class Lewis Clark Walton, never came home from Vietnam. He was reported missing on May 10, 1971. 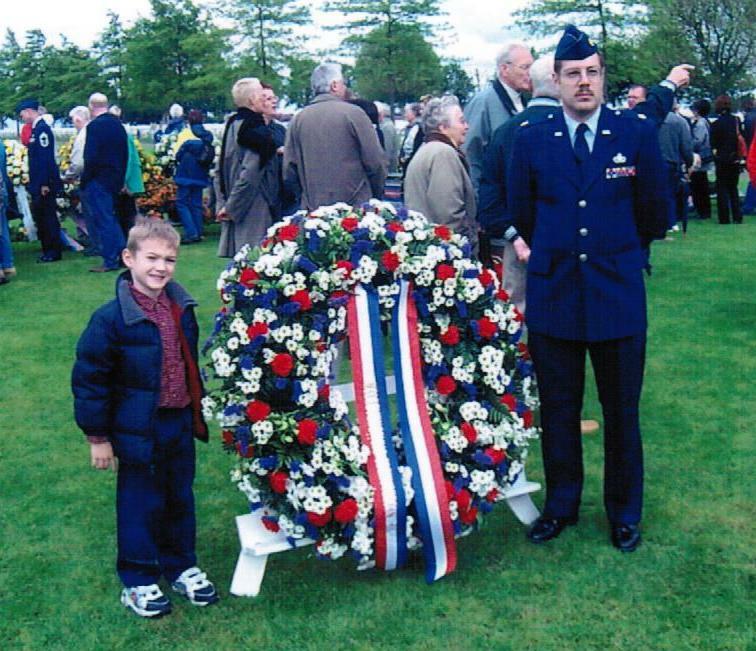 Jacke became the voice for Gold Star Families. Her brother Lew followed their father's footsteps and enlisted in the Army. He was deployed when the call came that their father's remains had been found in December 2006 - 35 years after his last known sighting. Lew (the son) escorted Lew (the father) home. I found SFC Walton's obituary at this link - he was an Eagle Scout. Although the discovery and subsequent burial of SFC Lewis Clark Walton’s remains provided closure for Jacke and Lew, it brought fresh grief and underscored how difficult it had been growing up without a dad. The Waltons forever will be, a Gold Star family. Jacke’s experiences prompted her to meet with recent Gold Star families – those whose loved ones had been killed in Iraq and Afghanistan. Grieving together them all to cope and heal. Throughout the broadcast, the actors and even Colin Powell invited the viewing audience to reach out to military families and veterans - mow their yards, run errands, help them write a resume, give them a job. The National Memorial Day Concert is an excellent example of how PBS offers quality programming. Yet PBS is a target for budget reductions along with music, science, and mental health programs - all vital for our veterans, military personnel, and their families. Likewise, the broadcast featured African Americans, Latin Americans, Gold Star Families, Disabled Veterans, POWs, MIAs, and KIAs - all who have been ridiculed by he who will remain unnamed. Be the voice for our veterans. And vote for those who respect the sacrifices they made. If you missed the concert, check your local PBS station for a rebroadcast or watch it online at this link. Last night, as I worked out on my exercise bike, I enjoyed a rerun of Hawaii Five O - He Moho Hou (New Player), I previously reviewed this episode at this link. The secondary story line featured Kono reuniting with a nemesis from her teen surfing days - Rosey Valera. As H50 fans know, Kono blew out her knee, thus prompting her to attend the police academy. Rosey's path was not so rosy - she joined the Army, deployed to Iraq, and lost both legs from a roadside bomb. She is now living among in a homeless camp as she struggles with her demons. The producers avoid the "Kono can fix everything" plot. Instead, Rosey makes it clear to Kono that she has to work this out on her own. Yet Kono extracts a promise from Rosey. 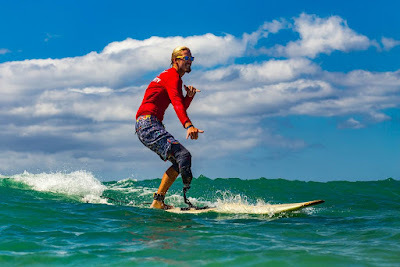 The closing scene features Kono taking Rosey surfing on a modified board. AccesSurf hosts wounded warriors each month. Thank you, AccesSurf, for caring for our military! Once H50 was over, I was channel surfing until I landed on FX broadcasting BATTLESHIP. Granted, it was the last 30 minutes as the young sailors and the old salts navigate the Mighty Mo to save Oahu from an alien invasion. 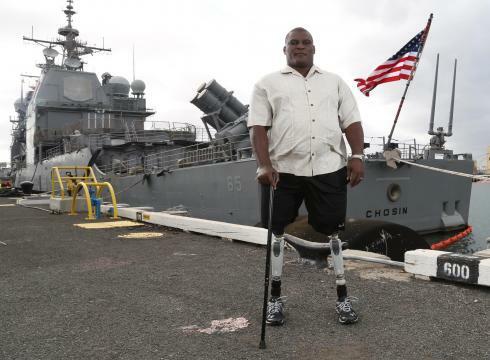 They receive a helping hand from wounded warrior Mick Canales who stumbles across the aliens during his therapeutic hike in the Waianae mountains, Mick is portrayed by real life wounded warrior Greg Gadson (link) who, like his character, lost his legs in Iraq. My family share a mutual friend with Greg - my children have met him at our neighbors' home. Indeed, Greg demonstrates that he doesn't need legs to be a successful officer, husband, father, and motivational speaker. Thank you, Greg, for your service! 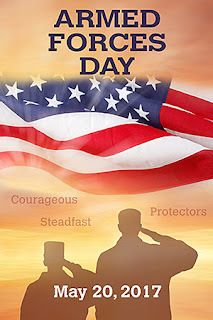 Memorial Day, originally called Decoration Day, is a day of remembrance for those who have died in service of the United States of America .... Memorial Day was borne out of the Civil War and a desire to honor our dead. It was officially proclaimed on 5 May 1868 by General John Logan, national commander of the Grand Army of the Republic, in his General Order No. 11. As we honor those who made the ultimate sacrifice, I also salute the military personnel who have made other sacrifices - time away from families, service related injuries, and the struggle to overcome emotional scars of war. Thank you for defending my freedom. 1. What are your plans for the Memorial Day Weekend? My family is planting perennials around our house! Luda holds a BS in Recreation and a MA in Communication Studies from California State University of Northridge (CSUN), where she conducted an auto ethnographical study entitled, “Negotiating Space: An Autoethnography on Wheels.” The study found that: the chair is accommodated, but the person is segregated; the world is designed for the able-bodied population by the able-bodied; spaces and places hold nonverbal signs that either hold messages of exclusion or messages of inclusion; language and signs that are used to label someone as ‘disabled’ are inaccurate. Born with muscular dystrophy, Luda Gogolushko has lived her entire life with limited mobility. Losing the full ability to walk at age nine, due to gradual weakness of the muscles, she has never stopped dreaming big. There is nothing easy about living life for someone who uses a wheelchair in a world run by the fully mobile-bodied population, but she is determined to present a different way of living, understanding, and interacting with the world. Kim: We love travel here at SOS Aloha! California - what is your favorite sight, sound, and smell of the Golden State? Luda: I am currently in southern California and I love the warm weather to go swimming, the freshness of outdoor hiking, and the sounds of the crashing waves on the beach. Kim: I enjoyed meeting you at RT - what inspired you to attend RT? What were your expectations? What did you learn from RT? Luda: RT 2017 was actually my second RT, and last year my first, conference as a newbie trying to research and get an understanding of the book world, with not much thought that is was a romance convention, but I learned a lot, nonetheless. This year was to learn even more, experience the culture of romance land, and see some old faces from last year. I attended a few socials, sessions on the business side of things, publishing trends, and tips of strengthening writing. Kim: Equality, diversity, and inclusion (EDI) are buzz words in our society today. What do those words mean to you? How can readers promote EDI in their every day lives? Luda: Equality, diversity, and inclusion are current hot topics, and a few years when the buzz first started, I was excited because for once I wouldn't have to fight to be included. But I quickly learned that that did not mean inclusion for someone with limited mobility was part of that buzz, so it wasn't hard to spot the need for advocacy for the disability community. In sum, for me, EDI means fostering a safe space for everyone to feel welcomed and valued at. Readers can promote EDI by every day interactions of treating everyone with respect and kindness, because at the end of the day, we're all humans who have feelings, emotions, and dreams. The minute that segregation--whether mentally, socially, or physically--transforms into integration, we can be a stronger nation, together. 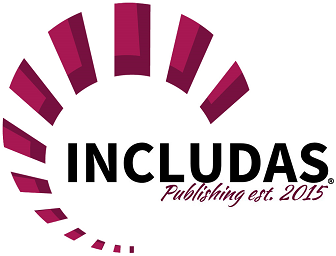 Kim: Tell us about INCLUDAS Publishing - how can we support you? Luda: INCLUDAS Publishing is a press dedicated to representing authors who identify with a particular ability status, as well as main characters (or content of a book, in general) of a story who have a disability. Support comes from being open and excited about diversity because I personally am always not sure how the public will react or not react; will it be of importance to them at the end of the day or not? If someone wants to get involved with INCLUDAS or its mission, send an email to inquiries [@] includas.com (or of course, if you want some cool swag and braille stickers). Kim: What's next for Luda Gogolushko? Luda: The next big adventure is going to the SCBWI conference in July, in Los Angeles (kid's book stuff, since majority of our books are kid's related). We are also looking for submissions for a cookbook project (info at includas.com), so submit if you have any recipes or kitchen accommodation tricks. And of course, getting ready to launch our first few books next year. 1. Let's chat about Luda's home state of California - what do you love about the Golden State? I enjoyed my visit to San Diego last summer - just gorgeous! 2. Comments are open through Sunday, May 28, 10 pm in Baltimore. 3. I'll post the winner on Monday, May 29. We have winners at SOS Aloha - Library Pat and Carol L. win a book choice from my convention stash! I wasn't sure what I would feature today ... until I read the news about Roger Moore's passing at age 89. He was my first Bond. James Bond. Roger Moore took Bond in a different direction than his predecessor, Sean Connery. Moore's Bond was tongue in cheek with spy gadgets, karate chops, and his signature drink - Martini, shaken not stirred. Moore starred in seven Bond movies - the most of all the Bond actors. THE SPY WHO LOVED ME remains my favorite with FOR YOUR EYES ONLY as a close second. 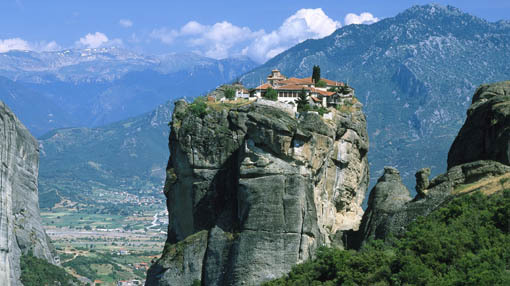 What's not to love about the Greek ruins, a take control heroine, and sky high monastery? 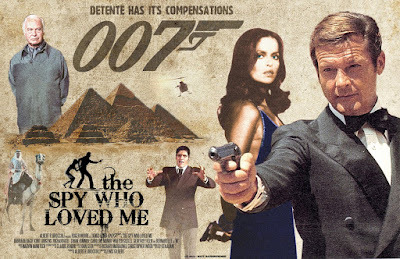 After he gave up the Bond role, Moore became a UN Goodwill Ambassador at nudging of his Swiss neighbor, Audrey Hepburn. Even in his passing, Roger Moore will always be remembered for his twinkling eyes and inviting smile. 1. Leave a comment about Roger Moore - did you enjoy him in other roles? Do you have a favorite Bond movie, location, or song? 2.Comments are open through Sunday, May 28, 10 pm in Baltimore. In 1949, Secretary of Defense Louis Johnson announced the creation of an Armed Forces Day to replace separate Army, Navy, Marine Corps and Air Force Days. 1. Display the American Flag at home and work. 2. 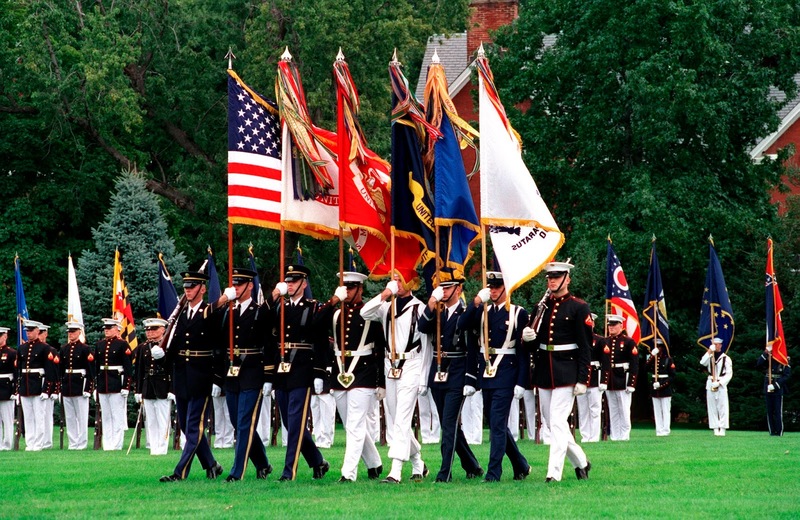 Engage media to highlight military and veteran events. 3. Send a care package to a soldier through USO Cares (link). 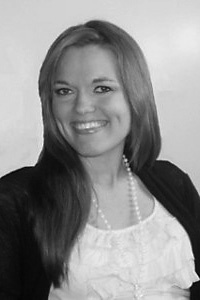 Romance author Megan Mitcham is also accepting thank you letters for military/veterans at this link. 4. Encourage elected officials at all levels to recognize our military and veterans. 5. Thank anyone in uniform ... or those who wear military ball caps, T-shirts, etc. Most likely they are a veteran. 6. Hire a veteran. Support businesses owned and operated by veterans. 1. Can you add to our list of how to appreciate our military families? Can you recommend any organizations that support military families? Do you know any businesses operated by veterans? 2. Comments are open through Sunday, May 21, 10 pm in Baltimore. 3. I'll post the winner on Monday, May 22. We have a winner from my RT Recaps - Di wins a sample of books and swag from the RT Booklovers' Convention. 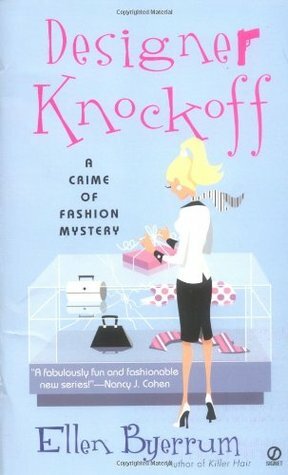 I suspect Book 1 explains how Lacey Smithsonian became a fashion columnist rather than a roving reporter. Still, Lacey appreciates vintage fashion courtesy of a steamer trunk she inherited from Aunt Mimi - a woman of good taste in the 1940s. 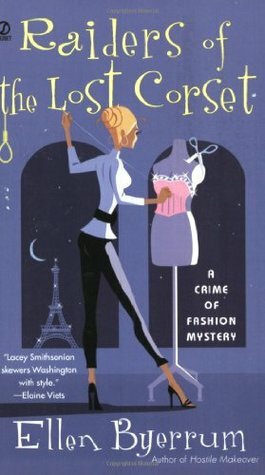 When Lacey needs to think, she opens the trunk, taking a step back into the past and even wears some of the timeless clothes. As such, Lacey "arms" herself to put on a brave face for her "couture" assignments for the Eye Street Observer, Washington's third rate newspaper. 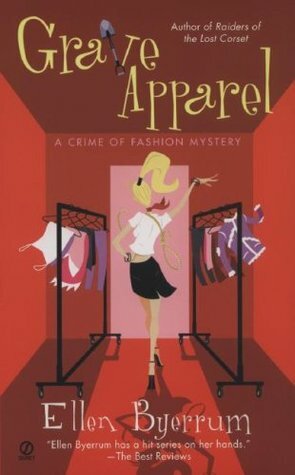 Yet hemlines often lead to murder, giving Lacey the opportunity to thread together the fashion clues, landing her to a byline in the crime section. Lacey lives in Old Town Alexandria. She works in Washington, DC, "the city fashion forgot". 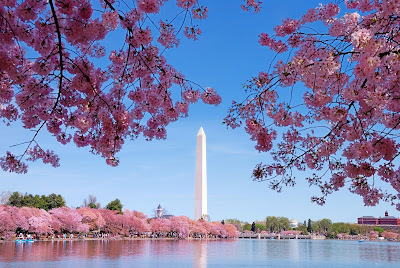 Byerrum incorporates all the cliches associated with our nation's capital - corrupt politicians, conspiracy theories, and monochrome suites to create a cozy mystery series that delivers a heroine to cheer. 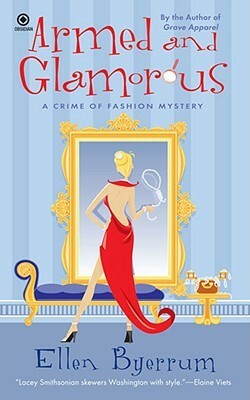 Lacey turns to her eccentric friends to help her dig in to the mystery and dig out of the trouble. Given my proximity to Washington, DC, I enjoy following Lacey in her capital adventures. Learn more about Ellen and her books at ellenbyerrum.com. 1. 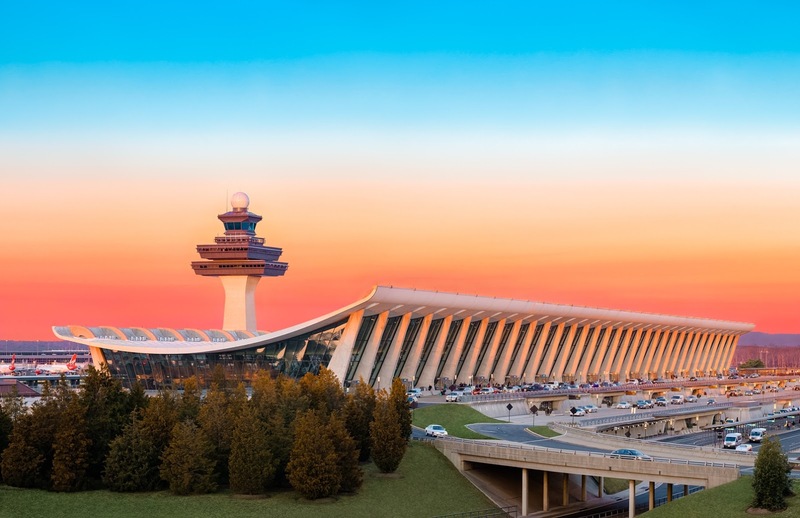 Have you visited the Nation's Capital? If so, what was your favorite "thing" to see, experience, or eat? If not, what would you like to see, experience, or eat? The National Cherry Blossom Festival is a sight to behold each March - the trees were given by the Japanese Government as a symbol of friendship. Learn more at this link. She may be best known for her acclaimed Golden Globe-winning lead performance in the movie Agnes of God. However, Meg Tilly is taking on an exciting new persona these days, as debut romance novelist Sara Flynn. Set on an island in the Pacific Northwest, SOLACE ISLAND tells the suspenseful story of a woman, dumped by her business partner/fiancé during her bachelorette party, who discovers a rewarding new career, romance and threats on her life in an idyllic vacation community. Two more Sara Flynn romances set on Solace Island will follow. Tilly has three grown children and resides with her husband in the Pacific Northwest. She is currently at work writing that second Solace Island novel. I chatted with Sara for a few minutes - she is a fan of Lorraine Heath! 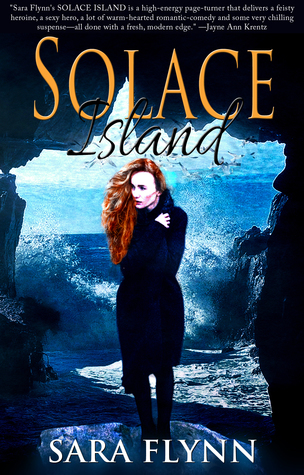 I purchased SOLACE ISLAND and look forward to posting a review in the future. 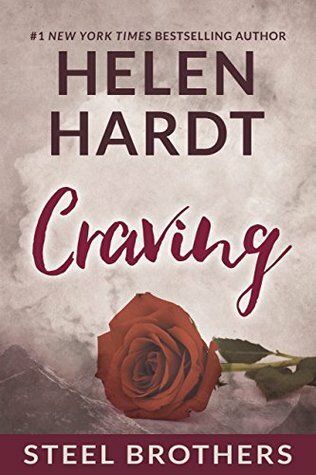 #1 New York Times bestselling author Helen Hardt's passion for the written word began with the books her mother read to her at bedtime. 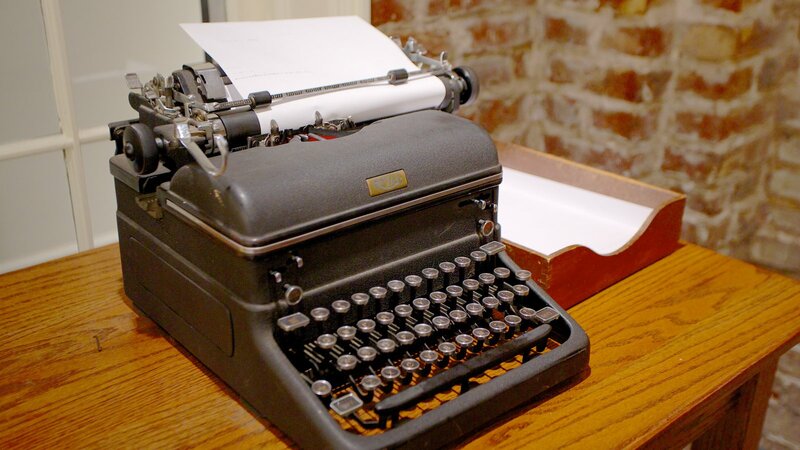 She wrote her first story at age six and hasn’t stopped since. In addition to being an award winning author of contemporary and historical romance and erotica, she’s a mother, an attorney, a black belt in Taekwondo, a grammar geek, an appreciator of fine red wine, and a lover of Ben and Jerry’s ice cream. She writes from her home in Colorado, where she lives with her family. 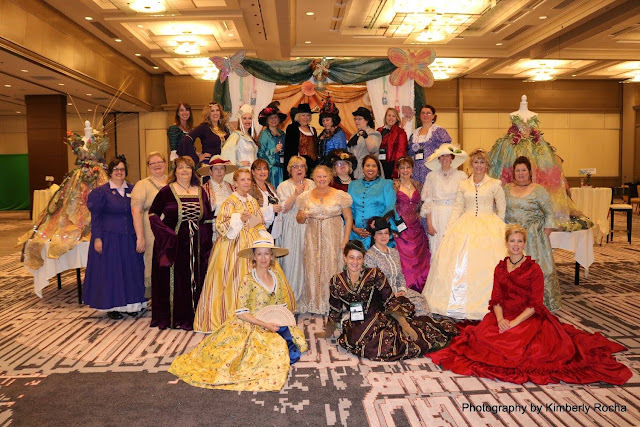 Thank you, RT Booklovers' Convention, for an action packed week in Atlanta! 1. Leave a comment about beaches - do you have a favorite? 2. Comments are open through Monday, May 15, 10 pm in Baltimore. 3. I'll post the winner on Tuesday, May 16. Enter a Kaleidoscopic swirl of color and light at Avon's annual party at the RT Booklovers Convention, where special photo stations will be set up for readers to take pictures with their favorite Avon and William Morrow authors. There will be plenty of complimentary books and eBooks for attendees, as well as sweet reading surprises! As always, sweets will be served, and readers can raise a toast to romance as they mix and mingle at this prismatic Friday night party. Appearing(s): Ilona Andrews, Jennifer L. Armentrout, Lenora Bell, Viola Carr, HelenKay Dimon, Megan Frampton, Alison Gaylin, Shelley Shepard Gray, Lorraine Heath, Beverly Jenkins, Laura Kaye, Cathy Maxwell, Charis Michaels, Julia Quinn, Alisha Rai, Lia Riley, and Karin Slaughter. 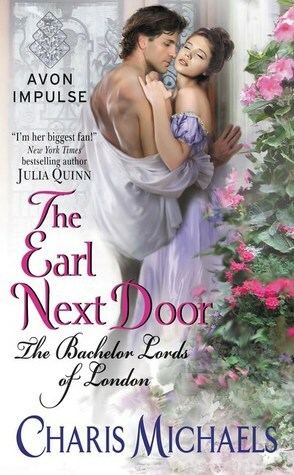 Once the doors opened, I served an an author assistant to ... Cathy Maxwell! I had just enough time to change for the RT Awards ceremony cohosted by actress-turned-author Meg Tilly and former Mr Romance Mark Johnson. Meg was wonderful - she truly loves romance books! I sat next to Lenora Bell who had not eaten ... so I shared my grapes. I cheered for Lenora, HelenKay Dimon, Lorraine Heath, Cathy Maxwell, and many more. 1. Leave a comment about flowers - what is your favorite? Like authors, I love all flowers! Cowboy books have never been more desirable--Meet some of the genre’s biggest stars - they will share personal anecdotes, the history of the genre, where they think it’s headed and how they started out. Our military is the backbone of our country. They pay the price for our freedom through all of their sacrifices. This military tribute is a multi-author-sponsored event to pay a moving tribute to our military and all they have done for our country. This event is open to all. Tables will be decorated by authors representing Army, Navy, Air Force, Marines, etc. 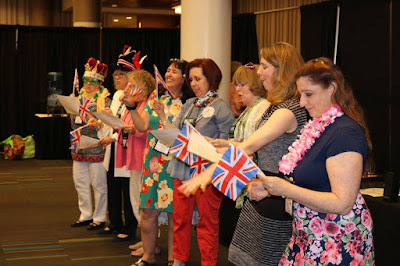 Hosts included KaLyn Cooper, Cristin Harber, Elle James, Cat Johnson, Kim Lowe, JM Madden, Trish McCallan, Donna Michaels, Megan Mitcham, Caitlyn O'Leary, Ella Quinn, Julie Rowe, Susan Stoker, Natasza Waters, and Sabrina York. It amazes me each year how much readers appreciate our military. Thanks to the authors who made this an emotional event. How daring are you? 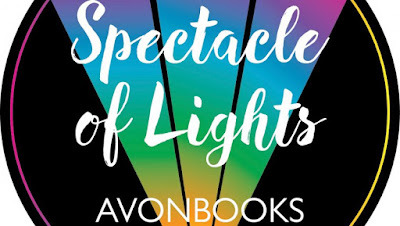 Find out at this fun game-show style event, which will pair readers with Avon authors in a series of fun challenges, with participation judged by a panel of judges. Earn points for participation! Winners take all ... the books, that is! The winning team will win totes generously stuffed with books and swag, compliments of Avon. Authors included Lenora Bell, Viola Carr, HelenKay Dimon, Megan Frampton, Lorraine Heath, Beverly Jenkins, Cathy Maxwell, Charis Michaels, Alisha Rai, and Lia Riley. I was honored to be asked by Pamela Spengler-Jaffee, Senior Director of Publicity for Avon Romance, to serve as a judge along with historical author Beverly Jenkins and editorial director Erika Tsang. I put my math skills to use as the scorekeeper, too. Let me tell you this was the best reader party, second only to the SOS Military Tribute. Readers were laughing, singing, posing, and conspiring with the author at their table to win the big prize - a tote bag stuffed with romance books and a bottle of wine! Charis Michaels belted out THE DEVIL WENT DOWN TO GEORGIA to lead her team to victory! Clearly Avon was on my mind as I followed the historical authors to the Margaret Mitchell House for a special Q&A with Lenora Bell, Megan Frampton, Lorraine Heath, Beverly Jenkins, Cathy Maxwell, and Julia Quinn. 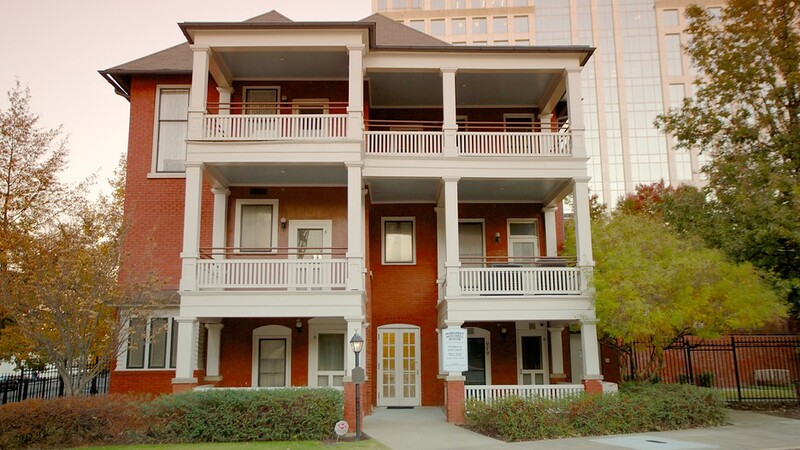 Charis Michaels moderated this lively discussion of historical romance in one of Atlanta's sacred homes. Thanks, Avon Romance, for a fabulous day! 1. From the authors I have listed in today's blog, who would you like to meet? Bingo took a back seat to singing - the Historical authors sang Abba's DANCING QUEEN, the spicy authors sang Pat Benetar's FIRE AND ICE, and the contemporary authors sang the Beach Boys' KOKOMO. Thanks to the authors for joining the fun! Once we cleaned up, it was time for an early dinner! I dined with Tracy Solheim, Kate Pearce, and two other readers at SWEET GEORGIA'S JUKE JOINT (link). The combination of Southern food and jazz music was the perfect setting for winding down after a busy day. After dinner, I peeked into the Romance Rockabilly Street Festival. Publishers hosted game booths while the band played swing music. Many readers dressed in polka dots dresses and rolled up jeans. Cathy Maxwell and Heather Graham showed us how to dance! 1. What song would you have sang with authors ... feel free to name any song! 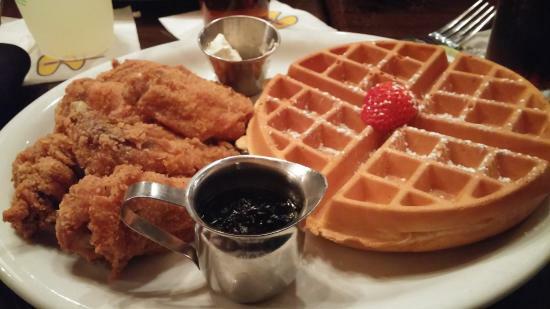 Or what is your favorite Southern food?